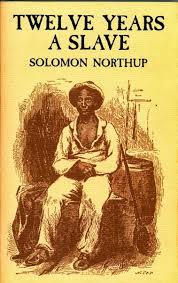 I can’t say that I was thrilled when 12 Years a Slave, Solomon Northrup’s true-life account of slavery, was chosen for book club. I haven’t seen the much-lauded film because I’ve heard it’s quite violent and my tolerance for violence seems to be on the decline these days and I didn’t really have any desire to read this book either. I understand its importance but, truthfully, this isn’t a book that I’d ever pick up. And factual it is – which I think might be part of the problem. My first and most powerful experience with the subject of slavery came in 1977. I was in high school and there was a television event known as Roots. This mini-series was really must watch television and it had a profound impact on me. The story, based on the life of author Alex Haley’s grandmother, was shocking and horrific to me – a middle-class white girl from Eastern Canada. My experience with people of African-American descent was really limited; I could count the number of black kids at my school on one hand. I distinctly remember watching Roots and being ashamed of the colour of my skin. I still remember the characters Kunta Kinte and Chicken George. Such is the power of fiction. Unfortunately, he is sold again to a less charitable master, Mr. Epps, a man whose manners are “repulsive and coarse.” When drinking, Epps’ chief delight was “dancing with his “niggers,” or lashing them about the yard with his long whip, just for the pleasure of hearing them screech and scream.” It is with Epps that Northrup spends the bulk of his incarceration. Perhaps modern readers have been spoiled by today’s memoirs, which often read like fiction. Northrup’s motivation for writing this book was, I believe, to instruct – and while I understand the merits of his tale, I felt it was missing a key ingredient: character. Yes, Northrup was clearly a good, intelligent, brave man, but there was something distancing about the very formal language of this tale. I think in his effort to report the facts, the story loses some of its impact. For example, when Eliza (someone else who has been kidnapped) is separated from her young children Northrup remarks “never have I seen such an exhibition of intense, unmeasured, and unbounded grief.” Imagine how that scene might have played out in fiction. 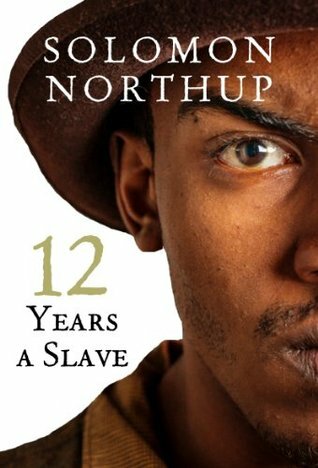 I am not sorry that I read Northrup’s story, but is it great literature? Is it a book I would press into the hands of my friends and say “you’ve got to read this.” No. This entry was posted in Uncategorized and tagged 2014, memoir, non-fiction by Christie. Bookmark the permalink.